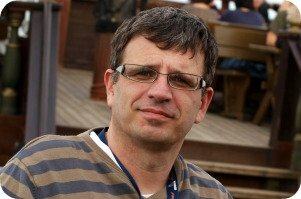 An occupational health doctor looks at the relationship between health and work. 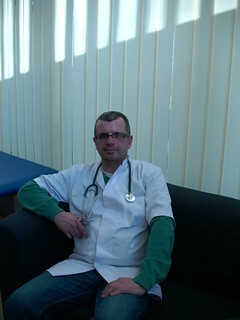 My name is Dariusz Krasnicki and I am a private OH doctor in Wroclaw/Poland. 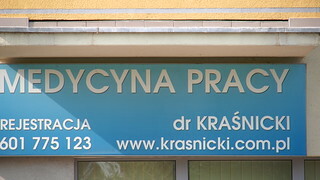 My Occupational Health Clinic for Wroclaw Workers is a pro-active team of health professionals /team of physicians, nurses, work&safety specialists and hygienists,/ committed to promoting the highest degree of physical, mental and social well being for workers and their communities. Occupational medicine physicians in Poland are hired either by companies that offer medical services or work on their own practice. Health assessments to evaluate an individual’s medical fitness (physical and psychological) to undertake proposed job are performed before a job offer. Later Health checks are performed periodically during employment in order to assess an individual’s fitness for a task. is also in charge of processes and procedures that are followed prior to an injured / ill employee returning to work. Screening for evidence of exposure to workplace hazards and adverse health effects. Workplace Health Risk Assessment (HRA) The process to assess (health) risks present in the workplace. The HRA identifies what might adversely affect the health of employees (e.g. chemicals, noise, heat, disease, etc.). (4) risk reduction measures. 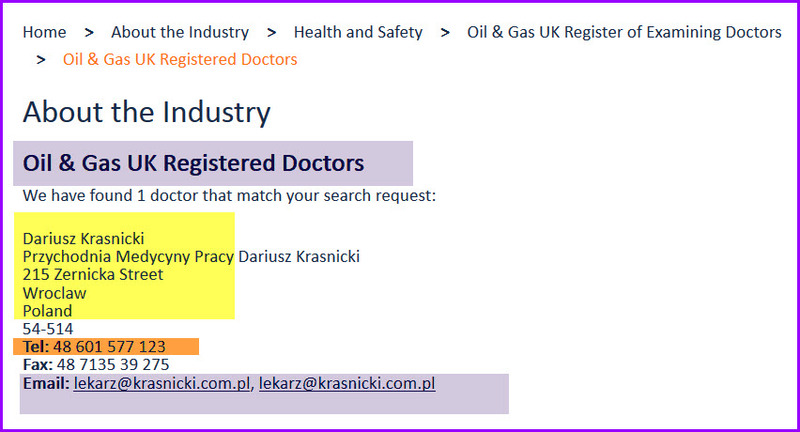 (NOTE: This is different to a Personal Health Risk Assessment) Polish Government health regulation are clearly described in Labour Code of practice that specifies specific actions a company must take to order to be in compliance. An organization also must be familiar with Industry Standard Practice. Occupational Health activity that is not a requirement, but is considered the norm and provided by the majority of companies within the professional services sector. So called Industry Best Practice which is OH activity that is considered exceptional and is only provided by a small number of companies. OH doctors are currently great in demand at companies, government agencies or universities. 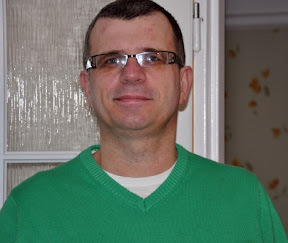 Dr Krasnicki enrolled in and completed a Masters in Occupational Health degree. After he received his medical degree of an occupational health doctor. 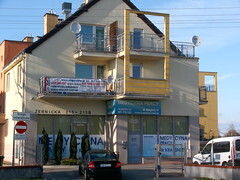 Since 2001 his Company has been offering medical services for all types of industries in Wroclaw Area. What are we normally employed on basis as a Contractor. We are not present on-site but cover companies Within 20 km of the workplace. Any non medical staff doesn't receive or have access to confidential medical information. The components of the required assessment. Health Questionnaire, followed by clinical tests for all employees. We are aware of any imminent legislative changes, relevant to employees that are likely to be implemented in the near future and would affect the company's obligation. E.G any new OH laws that will be coming into effect soon. We can provide required OH services to sub-contractors, and/or ensure that sub-contractors are meeting the OH regulations. at +48 693 775 123 .